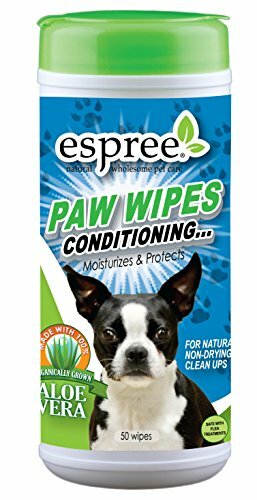 Spree's Paw Wipes are formulated with hypo-allergenic ingredients to gently clean sensitive skin and coat. Natural ingredients of Aloe and Jojoba leave a fresh soft and fluffy coat. Safe for nursing and expectant mothers. Keep those paws cleans from debris, dirt and stains. If you have any questions about this product by Espree Animal Products, contact us by completing and submitting the form below. If you are looking for a specif part number, please include it with your message.